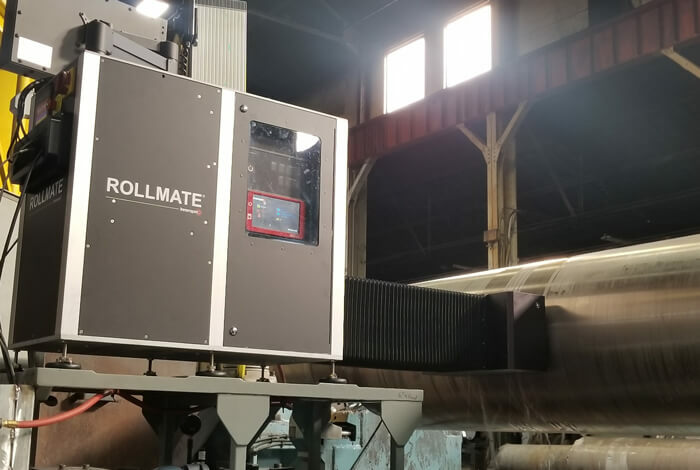 The Rollmate® permits inspection of rolls of any alloy, forged and cast, during the grinding process. The Rollmate is the newest and most advanced roll inspection system in the market, and the only one capable of detecting surface micro-cracks on any type of rolls. Hybrid technique piezoelectric and magnetic (patented). Surface (0-2mm) and sub-surface axial (2-58mm). Surface (0-2mm) and sub-surface circumferential (2-58mm). Detects surface micro-cracks as small as 0.1mm. Actuator is integrated within the instrumentation cabinet, and installs as one piece on the grinding carriage. 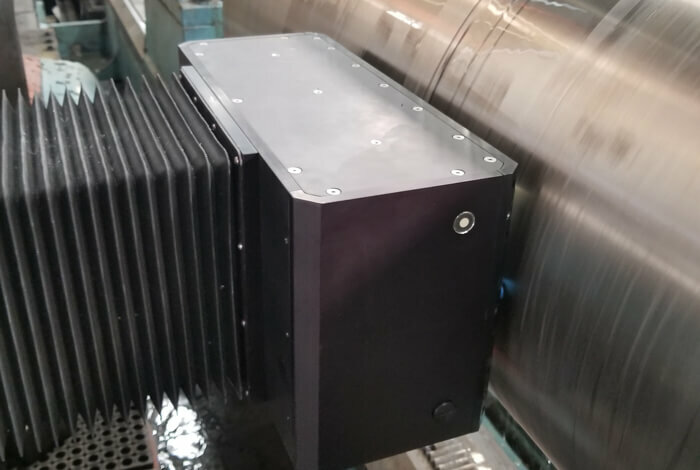 The actuator can be installed separately from the instrumentation and mounted at any angle on the roll. Insensitive to roll magnetism, inspects rolls of any alloy. Expert system to monitor roll performance and estimate remaining life.